A lot is going on in a great taco. The filling contrasts with the salsa and the corn tortilla complements them both. When all parts are working harmoniously, you get a spectacular taco and these ribeye steak tacos are spectacular. The fruity flavor and acidity of the salsa counterbalances the weighty beefy flavor and fattiness of the meat. 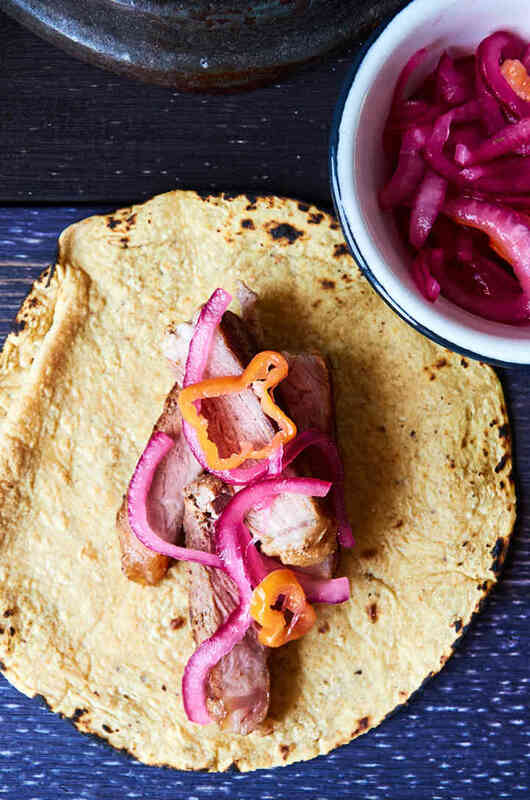 The corn tortilla adds a complementary earthiness that ties the flavors together. 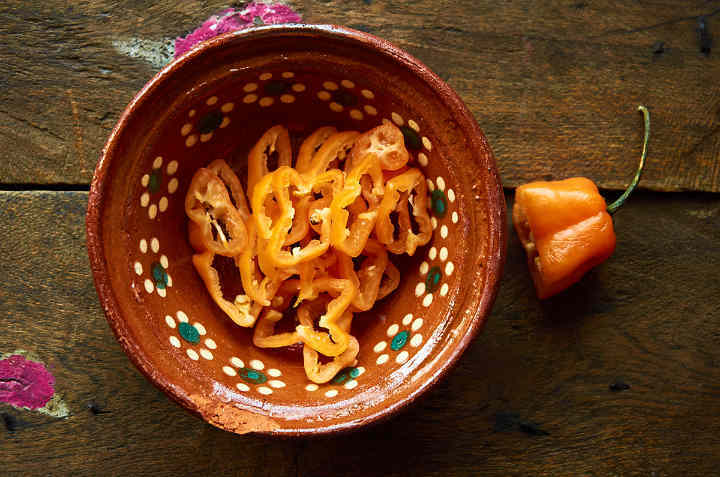 Habaneros chiles are sneaky, but in a good way. Their flavor is light and delicate at first and then gradually the heat starts to build and the flavor pops. 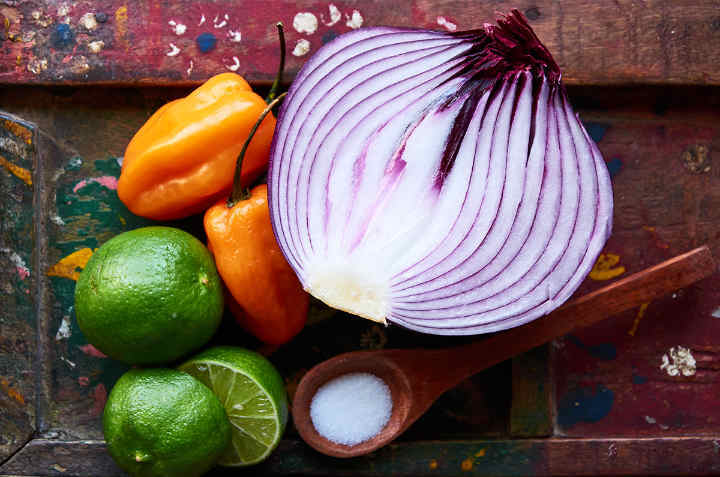 You want to prepare the salsa at least 1 hour in advance which allows time for the lime juice and salt to soften the onion and chile and for the flavors to come together. Thinly slice the habanero chiles. Habanero chiles are very hot and will leave a residue on your hands that may burn your eyes. Wear gloves to protect your hands if prefer. 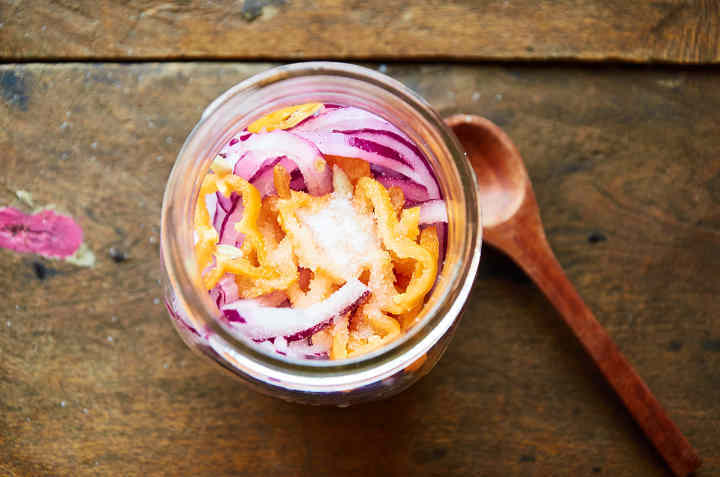 Put the chile, onion, and salt into a jar or a mixing bowl. Squeeze the juice of the limes into the jar then stir to mix ingredients. Ribeye is one of my favorite cuts of meat and it makes a great taco. 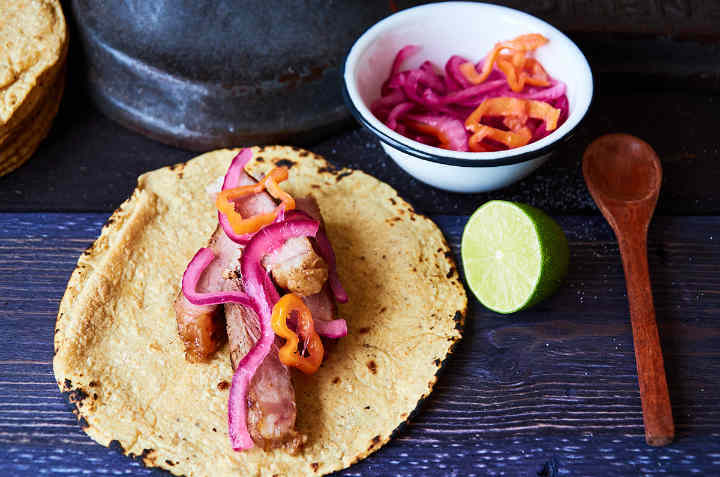 Tortillas are an important component of any taco. 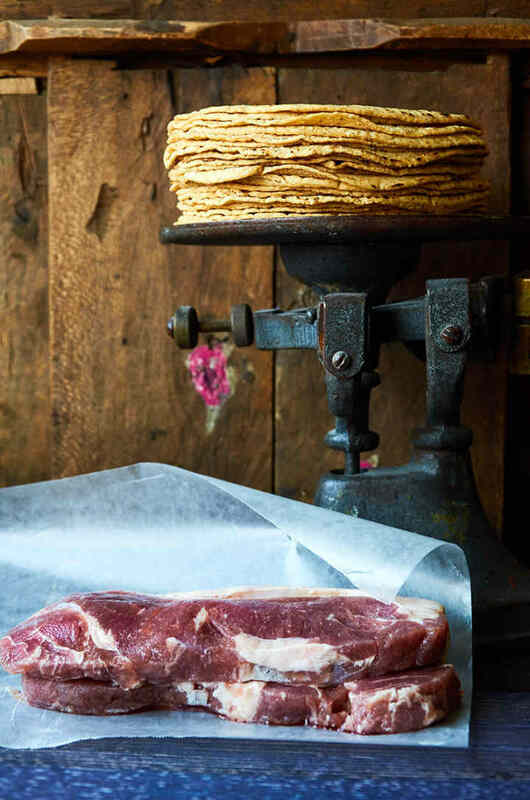 Always try to buy freshly made tortillas or make your own. They are preferable to the prepackaged tortillas on that you find on the supermarket shelf. 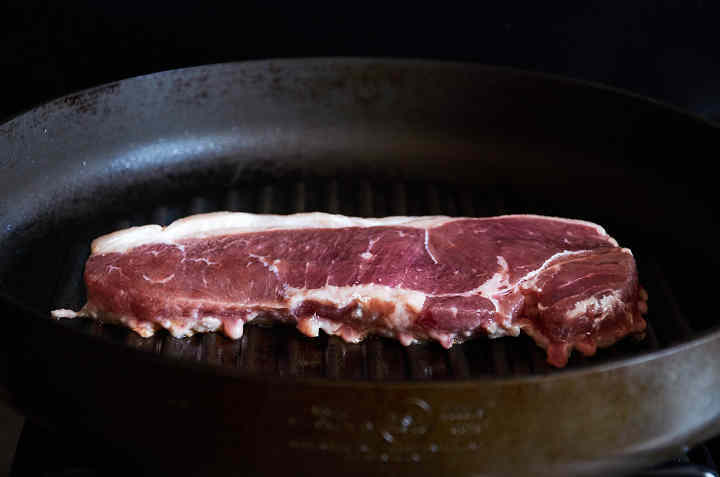 Salt both sides of the meat and allow to come to room temperature before cooking. We chose to pan grill the steaks. Cooking them on a gas or wood-fired grill will excellent results too. If you are pan cooking, preheat your pan to medium-high. Cook for 4 minutes. Flip the steak and cook for 4 more minutes. They steak will be done to medium. 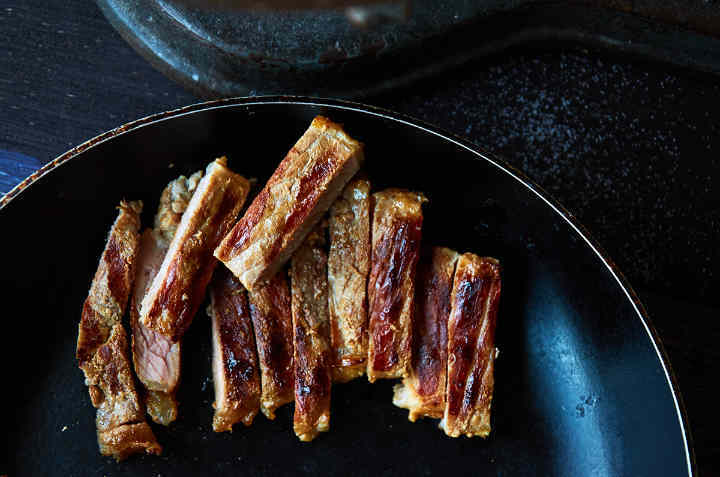 Reduce the cooking time by 1 minute per side if you prefer the medium-rare. Allow the steaks to rest for 3 minutes then slice into 1/2″ strips. Warm the the tortillas on a griddle or comal for 30 seconds per side. Wrap the tortillas in a clean dish towel to keep them warm. Tortillas should always be served warm. 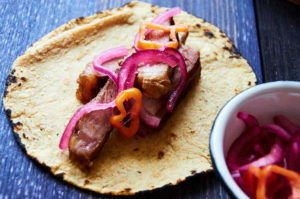 Place 3 or 4 strips of beef on each taco and top with the red onion habanero salsa. Serve 3 tacos per person. This an easy weeknight recipe that you will want to add to your dinner rotation. The prep work is minimal as is the cook time and the results and delicious. Ribeye steak tacos paired with a fruity, spicy red onion habanero salsa served with warm fresh corn tortillas. The light fruity flavor and acidity of the salsa counterbalance the weighty beefy flavor and fattiness of the meat. 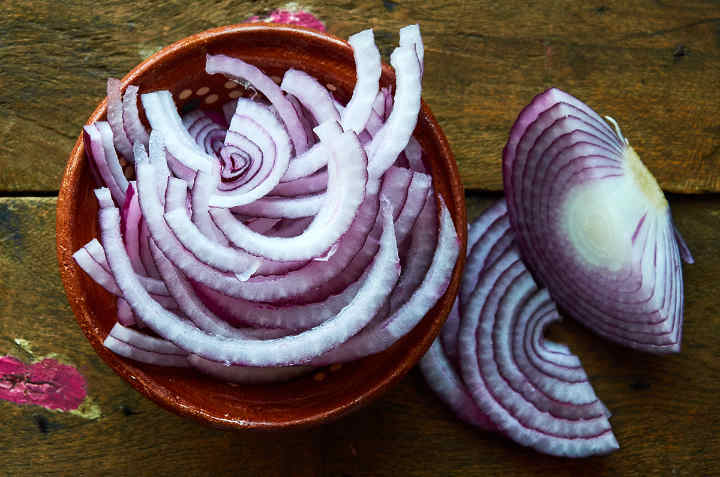 Thinly slice the habanero chiles and onion. 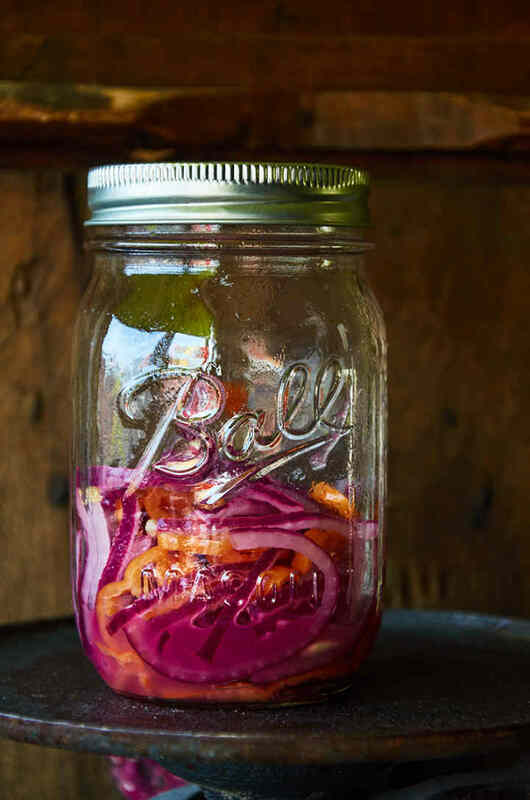 Put the chile, onion, and salt into a jar or a mixing bowl. 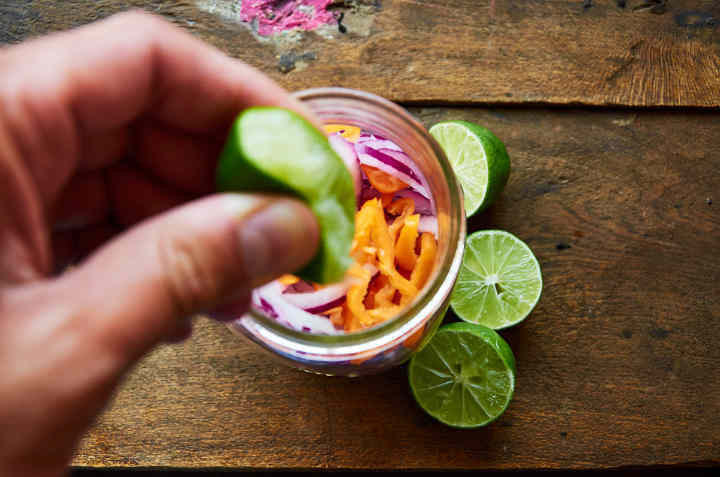 Squeeze the juice of the limes into the jar then stir to mix ingredients. 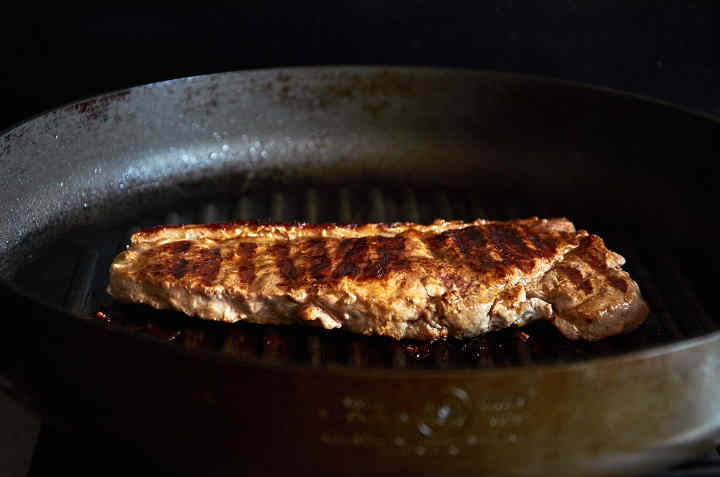 Preheat your pan or grill to medium-high and cook steaks for 4 minutes per side. Allow the steaks to rest for 3 minutes then slice into 1/2" strips. Warm the tortillas on a griddle or comal for 30 seconds per side. 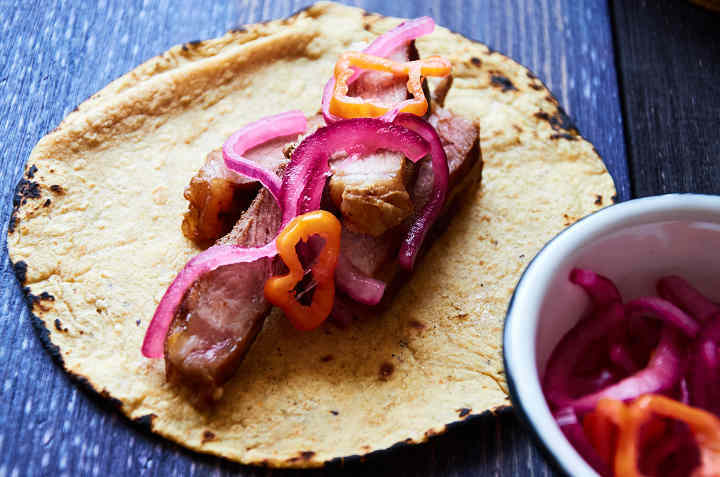 Place 3 or 4 strips of beef on each taco and top with the red onion habanero salsa. You can substitute any cut of meat that grills well. Ribeye pairs well with any boldly flavored salsa. Flour tortillas work really well too. Just did a ribeye on the grill yesterday and was thinking, “gee, I wonder if ribeye would make a good taco?” Glad to see this recipe that I’ll be sure to try. In fact, this post is filled with great recipes. Gracias! This is spectacular. Never really tried of ribeye with tacos. Sounds like a great dinner to me tonight.